1 Farenheit 451 | This Blog Rules | Why go elsewhere? Whenever you read a science-fiction novel, words become images in an instant. All classical limits are defied, and therefore a never-ending land of possibilities is thus revealed. Here are 3 amazing SF movies you probably didn’t know were inspired by books. Before the film industry learned how to do so many wonderful things as far as special effects are concerned, our parents and grandparents and grand grand parents were mesmerized while spending their summer holidays reading Jules Verne’s amazingly adventure SF novels. They needed no movie to show them how to imagine everything they were reading about, despite the fact that Jules Verne was talking about worlds nobody had ever heard of. But as cinema evolved, SF books had to, just had to be screened. 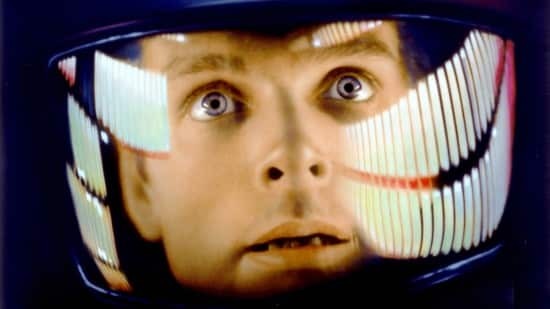 Movie director Stanley Kubrick shook hands with writer Arthur C. Clarke, and had written a SF novel together that was instantly turned into a film. The result of their teaming up is none other than 2001: Space Odyssey, which was released in both forms in 1968. 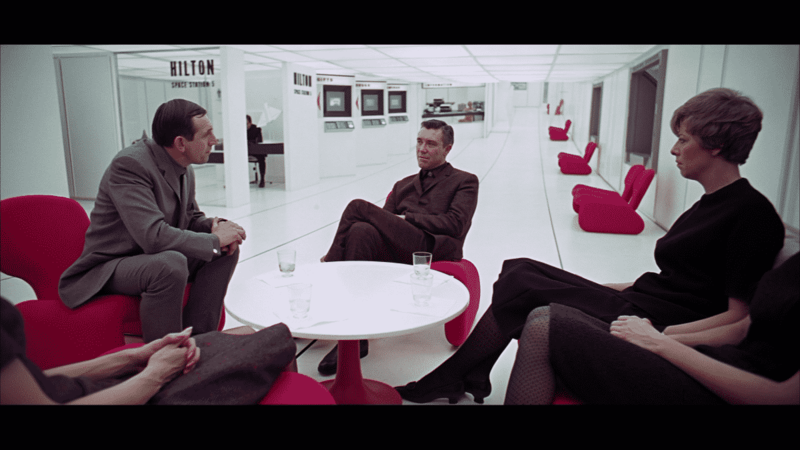 Kubrick’s intention was of sheer penetration of the audience’s subconscious, with no verbal distractions in the way. The emotional and conceptual content was to be transmitted through images only. Not classical SF ones representing sticky aliens and huge spaceships. He worked with Douglas Trumbull from NASA in order to render the exact movements of a human body in space. He also hired over 40 people on the set who had to make sure that every detail and density described in the book existed in the movie as well. All this grace is enriched by Richard Strauss’ music, underlining the grandeur of the space in such a sensitive, yet grand perspective. This is definitely one of the most amazing movies ever made. 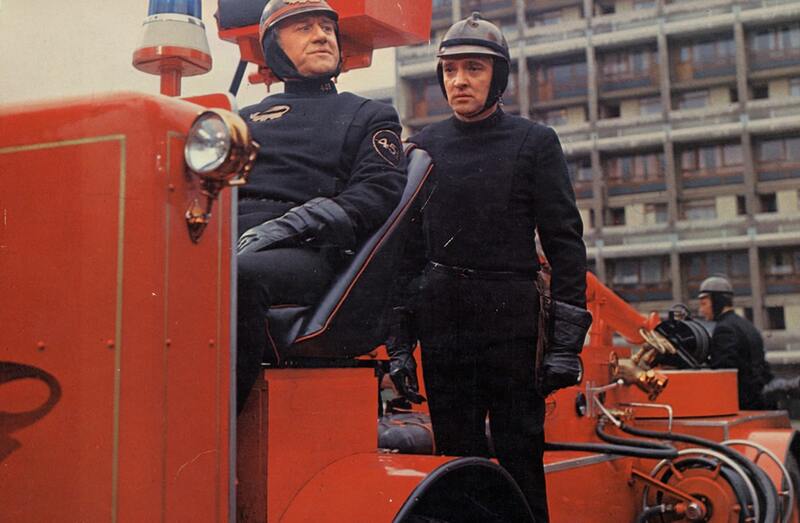 The novel Farenheit 451 was written by Ray Bradburry and turned into a film by Francois Truffaut. This short novel began as a love letter that Bradburry wrote to books. From here it turned into an anti-totalitarianism and anti-censorship critique. The movie, starring Oskar Werner as inquisitor Guy Montag and Julie Christie as Clarissa, the one true free and fragile spirit that makes Guy question his own non-liberal ideas and beliefs. The movie is less faithful to the book as far as the romance story is concerned so that the audience can have something more obvious reason to cry. Nevertheless the bleak atmospheres of the book, as well as the never-ending tension are faithfully contained in the film, too. Despite the fact that it was written 61 years ago, Farenheit 451 is a steadfast cultural bench and Michael Moore’s Farenheit 9/11 is a clear statement underlining this tribute. Yes, Stanley Kubrick again! But this time with a different writer and not such a perfect coordination than his other movie mentioned above. The Clockwork Orange dispute is an eternal one because of the fact that no one has enough arguments to sustain which one was better. They are works of genius, but taken separately. There’s something different about them. Burgess’ book was released in 1962 and Kubrick’s movie in 1971 and they both are absolute masterpieces. While Burgess accepted he felt frustrated because of the fact that none of his following books had the same success, Kubrick has no regrets whatsoever. 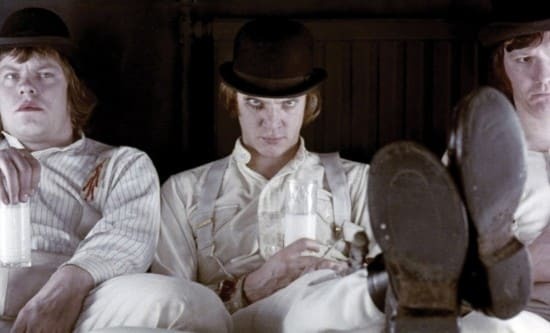 Malcom McDowell was definitely the only man form this planet who could have portrayed the malefic Alex and his ultra-violent deeds in an unknown future with familiar references. It’s hard to talk about this book or about this movie using concrete words. It’s all about the atmosphere, the strange language they use, the tension and the incredible paradoxes. This time we have Beethoven’s 9th symphony to sharpen our emotions.